Due to varying brands of dog food and a number of environmental conditions that all puppies and dogs are subject to, it is important for you to keep your pets healthy and for their immune systems to be strong. It is our job, as responsible breeders to ensure that each of our puppies are happy and healthy first and foremost, but that they also maintain good health after leaving us, that includes us educating our Farmstead families on exactly how to do so. ​After years of trial and error, we have finally found the perfect combination for your new pets that keeps their bodies healthy and their tummies happy! 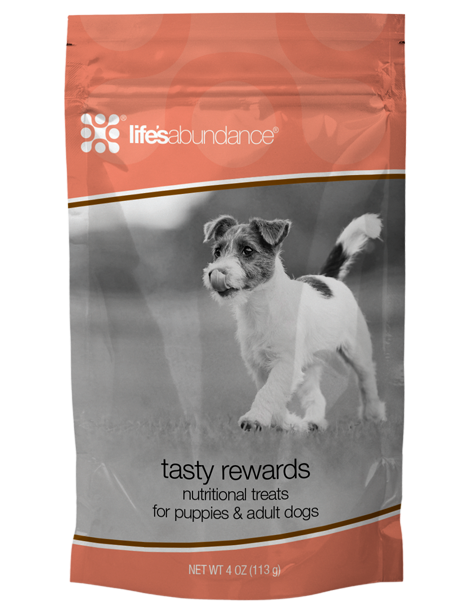 Each one of our adult dogs and puppies are fed high quality, fresh and natural dog food called Lifes Abundance. They are also given one NuVet Plus wafer as a part of their daily diet. In order for families to qualify for our health guarantee, your puppy must be fed the same high quality premium puppy food that we recommend, they must maintain healthy weight and conditioning, be kept up to date on all necessary vaccinations and heartworm preventatives and take NuVet plus® supplements as a part of their daily diet. 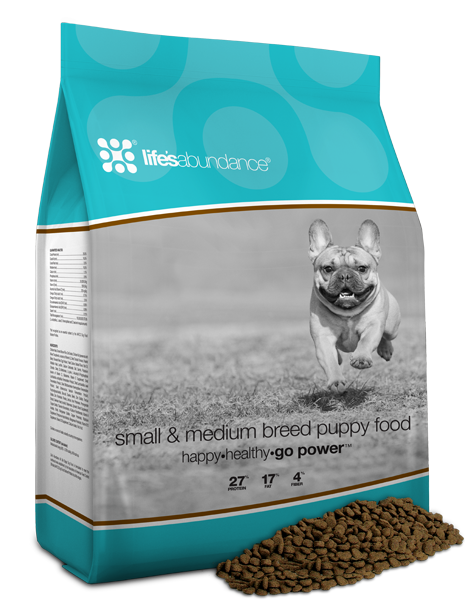 Both the NuVet® supplements and the Lifes Abundance puppy food must be ordered prior to taking your puppy home. For each family who agree to follow through with our requirements, Farmsteads Puppy Paradise will honor a 1 year health guarantee to cover any life threatening genetic or congenital defects. Additionally, if you continue with both the NuVet Plus® supplements and the TLC dog food throughout a second year, we will extend your guarantee for an additional 12 months. To qualify for the extension, you must use NuVet Plus® and TLC throughout the entire guarantee period. Please note, NuVet® supplements and Lifes Abundance puppy food must be ordered through our account in order for us to verify your monthly/annual use to qualify for your health guarantee. There are direct links to order each product below. When you select your product and desired quantity, you can save 15% on NuVet plus® and 10% on NuJoint plus® by clicking "add to auto-ship". You can allocate how often you want the product to auto-ship based on how many wafers you decide to order at one time. When you register as a new customer you will be asked for an order/reference code, our code is 26154.